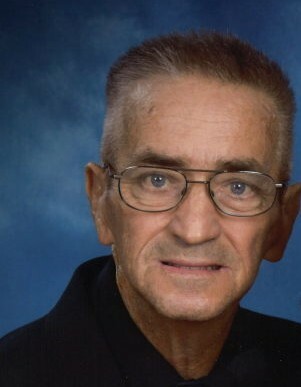 James R. Wright, age 76, of Dallas, passed away on October 19, 2018 at home. He was born on June 15, 1942 in Heard County Georgia to the late Homer and I.D. Hill Wright. He was a United States Army Veteran serving in Vietnam, and retired from CSX Corporation after 38 years where he worked as a Switchman. He was a member and deacon at Welcome Hill Baptist Church. He was preceded in death by his parents as well as his step-mother, Vara and sisters, Jeanette, Norma and Sarah. Survivors include his wife of 51 years, Gail Wright, two children, Letitia and Kent Cochran of Alpharetta, GA and Jimmy and Mindy Wright of Dallas, GA and grandchildren, Caleb, Victoria, Jacob and Katrina Cochran, Shayla Wright, Austin, Autumn and Ayden Sprayberry, as well as sisters, Mary Nell Hendrix, Sue Woodard, Jan Meacham, Sally Moore, and brother, Buddy Wright. Several nieces, nephews, and cousins also survived. Funeral services for Mr. James Wright will be held at Sam Clark Funeral Home on Sunday, October 21, 2018 at 2:00 PM with the Rev. Johnny Ivey and Art Brady officiating. Internment will take place following the service at Kennesaw Memorial Park. The family will receive friends at the funeral home on Saturday, October 20, 2018 from 4:00 PM until 8:00 PM. In lieu of flowers, the family respectfully asks that donations be made to Welcome Hill Baptist Church in Mr. Wright’s name.